COLUMBUS, Ohio – When people eat at home, there’s typically not much left on their plates – and that means there’s likely less going to landfills, according to new research from The Ohio State University. The same people who on average left just 3 percent of their food on their plates when choosing their own meals left almost 40 percent behind when given a standard boxed-lunch type of meal. 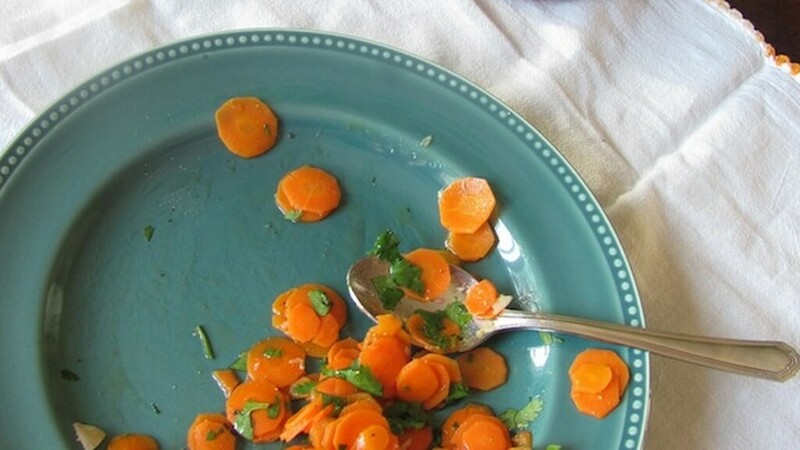 Plate waste at home was 3.5 percent higher when diners went for seconds (or thirds). What we leave behind on our plates is the primary focus of efforts to reduce food waste, and this study shows that it’s potentially more important to concentrate on other conservation measures at home, including using up food before it spoils, said Brian Roe, the study’s lead author and a professor of agricultural, environmental and development economics at Ohio State. Prior research typically has focused on “plate waste” in settings such as school cafeterias and buffets and has found much greater waste -- from about 7 percent at an all-you-can-eat pizza buffet to 18 percent waste of French fries at an all-you-can-eat university dining hall. The new study, published in the journal PLOS ONE, is the first of its kind to follow adult eaters through their normal day-to-day eating patterns, said Roe, who leads the Ohio State Food Waste Collaborative. “This study allows us to go into the daily eating habits of adults and suggests that when people are choosing their own food, there’s not a lot left on their plate,” he said. The researchers tracked food waste through pictures the 50 study participants took on smartphones before and after meals. The study ran for about a week and included all meals eaten at home or away from home. To compare plate waste in a controlled environment versus a home dining environment, the researchers had participants dine twice in a lab setting – on lunches that included a lunchmeat sandwich, cookies, pretzels, a fruit cup and a beverage of the diner’s choice. Much of what was left after the meals was beverages – soft drinks, in particular – and grain-based foods, such as hamburger buns. As much as 25 to 40 percent of food is wasted overall in the United States, and better understanding when, why and how is a key step in reducing that waste, Roe said. Based on this study, it’s probably more important to focus on meal planning and using up foods (and leftovers) before they spoil than on what is left on the plate at home, Roe said. Corby Martin of the Pennington Biomedical Research Center in Louisiana, the study’s co-lead author, said that the negative effects of being provided with too much food or serving yourself too much are becoming more apparent. “When this happens, people are much more likely to have a lot of plate waste after their meal,” he said. Though it was not used in this study, Roe and his colleagues are currently putting the final touches on a phone app designed to track food waste. They will begin testing the “Food Image” app in a pilot project this spring. The National Institutes of Health and the U.S. Department of Agriculture supported this study. Misti Crane. Clean plates much more common when we eat at home. The Ohio State University, 14 February 2018.